Are You Interested in a Training & Certification Course? 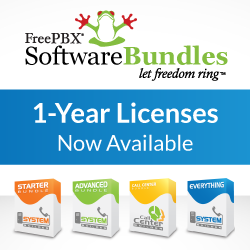 We have had numerous requests to put on a training seminar to provide deeper knowledge of FreePBX, General PBX maintenance and how to market and sell against the traditional providers. We are investigating doing such a multi-day training course and would like to know your interest in such. We have heard from users who have been to courses put on by other organizations that they would like to see something from us that takes it up a notch as well as focuses purely on the FreePBX based market (regardless of which Distro you choose to use). And we have also heard that you are looking for such a course that includes testing and certification to demonstrate your knowledge to your customers and employers. So, we would like to hear from you if this is something you would like and would pay typical rates to attend? We are considering something in the March time frame if the response is positive but we need to know in advance if there is adequate interest to make commitments for hotel space and training rooms. If you would like to attend, is there a preference in locations? We have considered locations such as Las Vegas, Chicago and Charlotte, NC. Please let us know through responses to this post, we look forward to hearing what our community is looking for in this space?